As one of the nation’s largest and most effective youth development organizations, we have served young men ages 7-20 and young women ages 13-20 for more than 100 years. 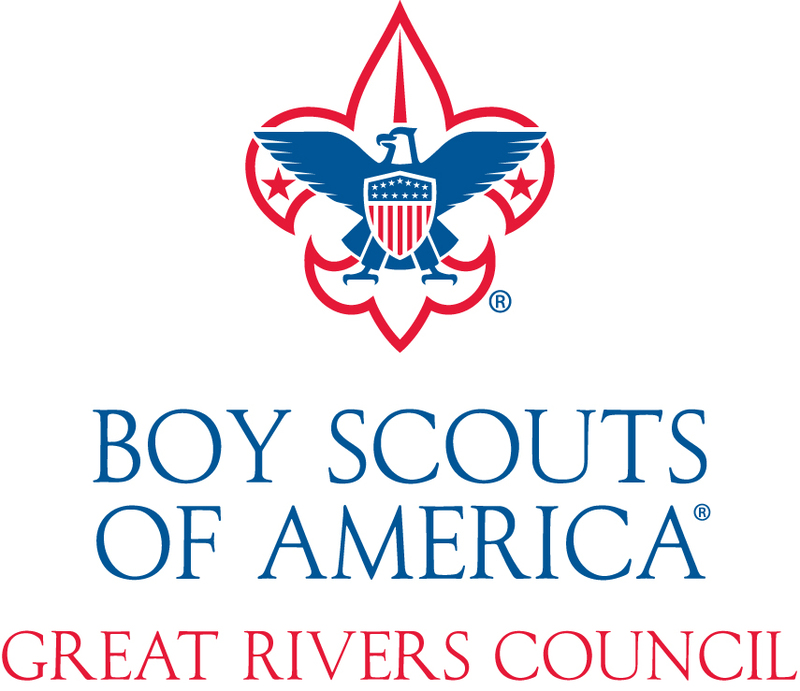 The Boy Scouts of America, Great Rivers Council provides a program for young people that builds character, teaches them citizenship, and develops personal fitness. Together with your help, the BSA will continue to inspire young people to make ethical and moral choices, become self-reliant, and take a prominent role in civic engagement over their lifetimes. Prepare today. Lead tomorrow. In Scouting’s second century, we are building the leaders of tomorrow. Our exciting programs and adventures inspire lives of leadership, character, and service. Relevant and adaptive, we are trusted advocates for youth. Scouting reflects and shapes our nation by using programs that are exciting, age appropriate, culturally relevant, and appealing to today’s youth. Remember what it was like to be a Scout? The adventures, challenges, friends, and fun? Even if you weren’t a Scout, you know what they stand for: character, confidence, leadership, values and great memories. Together with your help, the Boy Scouts of America will continue to motivate young people with our message to make ethical and moral choices over their lifetimes. Imagine having the opportunity to inspire a youth to be a leader of tomorrow. Your gift will ensure that mid-Missouri youth will experience all that Scouting has to offer. Join the individuals, corporations, and foundations who support Scouting’s mission. Leaders, neighborhood counselors, merit badge counselors, office assistance and camp maintenance.